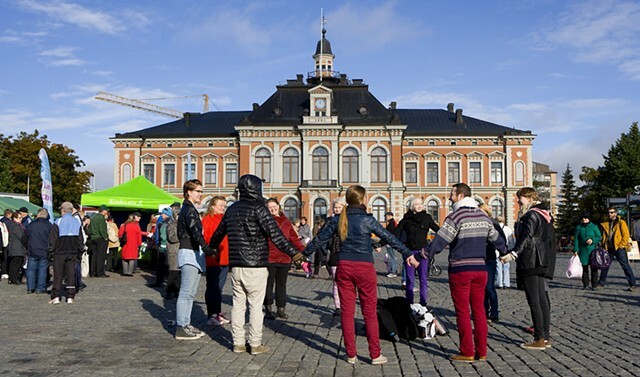 Gather is a public performance made in collaboration with queer youth group members of Savon SETA in Kuopio, Finland. 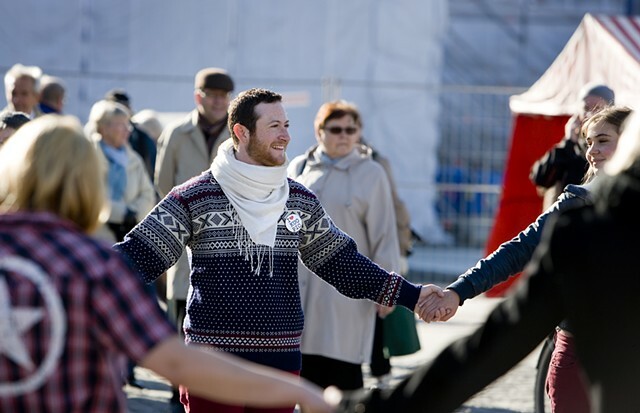 Gather was a one-hour public experiment for building community. 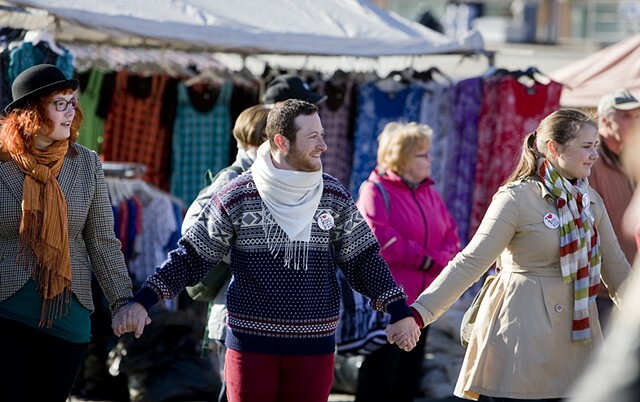 The group began with five people holding hands in a circle in public at the city center. 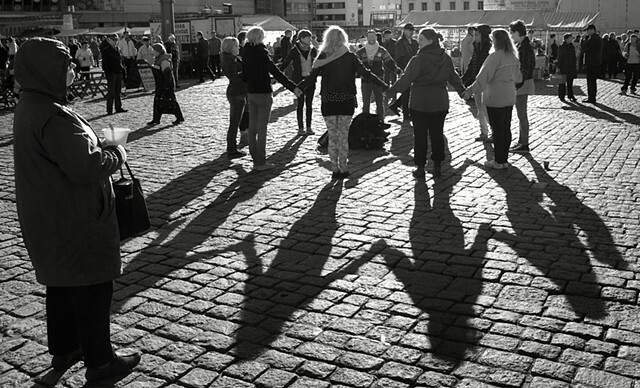 During the duration of the piece others joined the circle growing to more than 40. The interruption of daily life in the square caused the police to almost forcibly remove the group from the square. It reinforced a notion that the very space we call public is already necessarily in contention.